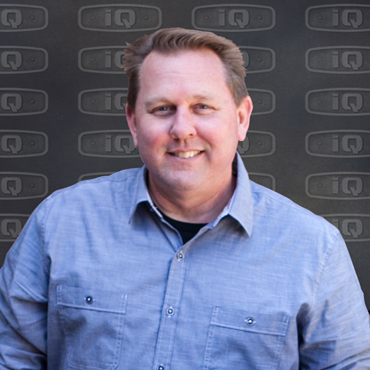 iQ Power Tools, manufacturer of premium power tools with integrated dust collection systems, announces plans for a global expansion starting Down Under… and, across the entire Atlantic. This global expansion starts with a strategic partnership with Tilers Online in Sydney, Australia. Tilers Online is a family-owned business and is one of the nation’s leading suppliers of tile, landscape and related construction supplies. With fully-stocked showrooms and a 24/7 website, Tilers Online offers fast delivery of all its products to Australia, New Zealand and the Pacific Islands. Sweden-Based Pritec Vaculyft AB specializes in lifting and materials-handling products. The company manufactures materials-handling products for the construction sector, focused heavily on paving. Nozar Diamond Tools, based in Germany, is a top supplier of diamond tools and abrasives throughout Europe. For over 45 years, the firm prides itself on supplying sophisticated tools and concepts… always one step ahead. “Our global expansion is a direct result of increasing universal demand for health and safety in the construction workplace, when it comes to dust containment. For years, contractors overseas have been insisting on our products,” stated Paul Guth, President of iQ. “We have listened, understood… and, responded! We took the steps to design the tools and then had them tested and certified for the international market. “We are thrilled to be introducing our dust containment solutions to a global audience. It’s our personal goal to bring our message, our educational resources and our state-of-the-art products to more professional people than ever before,” concluded Guth. iQ also announces the addition of Herman van Breemen as Vice President of Europe. He will be responsible for all European market expansion. 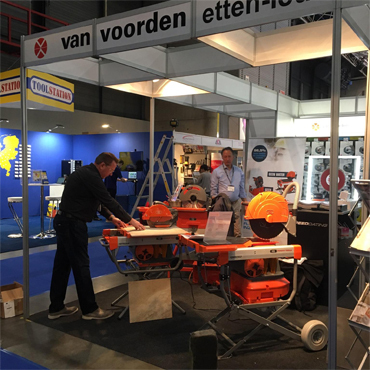 Working in the diamond tool industry for over 30 years, van Breeman brings valuable experience to the company’s European distribution plans. Guth added “Our pledge to bring safety to the construction industry globally… is finally being realized. In addition to local training and instruction, iQ has submitted our tools to be evaluated and certified by TNO to ensure iQ Power Tools meets the stringent requirements of the European Community.” Globally recognized, TNO, an independent Dutch testing agency conducts contract research, tests and certifies products and services, ultimately issuing independent quality evaluations. 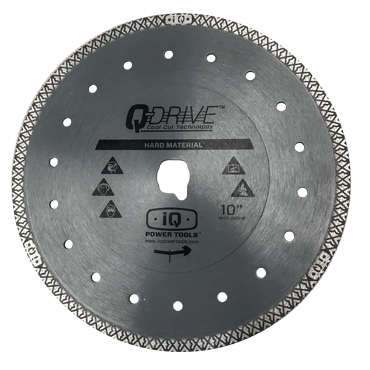 “There was a demand for safe, dustless construction tools and… we addressed it. Now, we’ve taken our dust containment solutions globally. 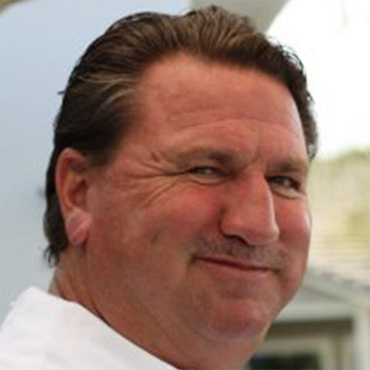 Our personal pledge is to bring safe products to our new, overseas partners,” exclaimed Guth. Photo Caption: Paul Guth, iQ President demos the iQ360XR, iQTS244 and iQMS362 at the BouwBeurs Construction Show, Utrecht, Netherlands. 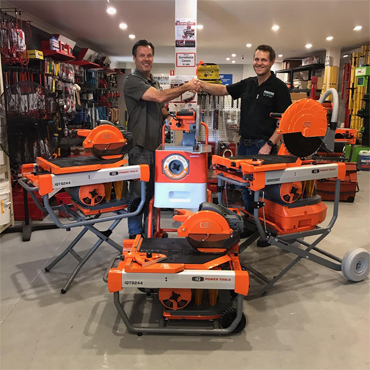 iQ Power Tools manufactures a comprehensive range of premium power tools with integrated dust collection systems for the concrete, masonry, hardscape and tile sectors. The company was founded by third-generation masons Joel and Paul Guth, who have logged over 30 years each in the masonry industry. Decades of experience taught them about dust problems; their company started out creating tools to solve their own problems only to realize these same issues affected all contractors… mess, money and a threat to the health and safety of the industry. iQ Power Tools envisions a future where their innovation helps create a 100% dust-free environment: jobsites are safer, work practices are healthier... and, the construction industry becomes even more sustainable.